More optimized product categories, more extensive product configuration. Aerodynamic frame with perfect fusion of engineering athletics and industrial aesthetics; Design concept of universalization frame truly implement one frame for different machine types, easily ac-complish equipment updating and lower the cost of reinvestment. The hopper is connected into a whole body by bolts, which can be dismantled easily into many smaller pieces for the convenience of sea transportation or road transportation. Besides, the hopper plate can be installed not only to enlarge the storage capacity, but also makes it possible that dumper truck can dump raw materials into hopper directly through the hopper plate. 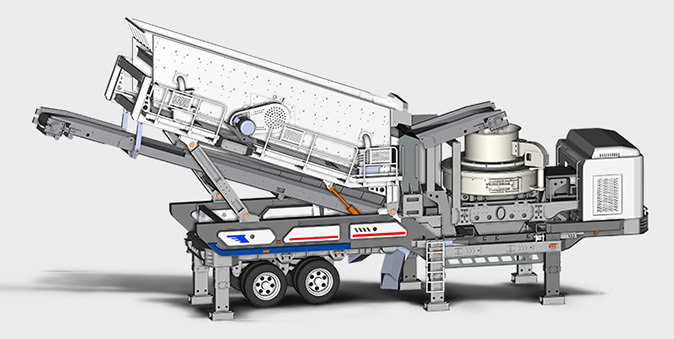 Material for K series mobile crushing station updates from Q253A to Q345B steel. Strengthened frame intensity which is fit for vibration load operation and with excellent adaptability to low temperature in cold region. The transmission system adopts cycloidal hydraulic motor, makes it easy to adjust the transmission speed, so as to save energy consumption, as well as to help avoid the damage of main machines incurred by the flow back of materials. Besides, there is overload protection device on hydraulic motor, it prolongs the service life for belt conveyor. 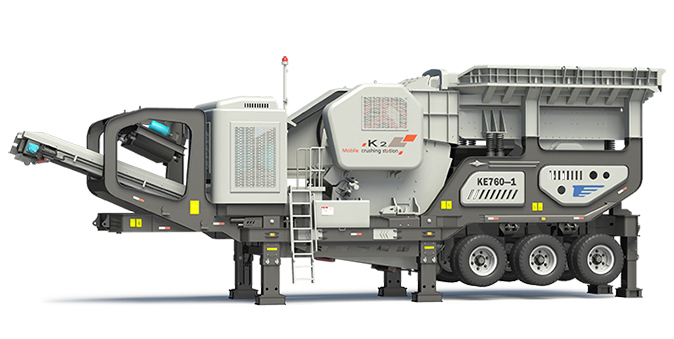 K-series mobile crushers adopt independent-innovated supporting device, this device is specially-designed into the shape of boots, both practical and beautiful. Being practical means the boots can be withdrew or extended intelligently controlled by the hydraulic system. For the convenience of transportation, the boots will be withdrew, while after being transferred to the working site, boots will be extended into supporting devices, to make sure the whole working process stable and consistent. U only need to make sure the working site is flat and level, then this whole preparing process can be done easily and quickly, saving u time, money and manpower. 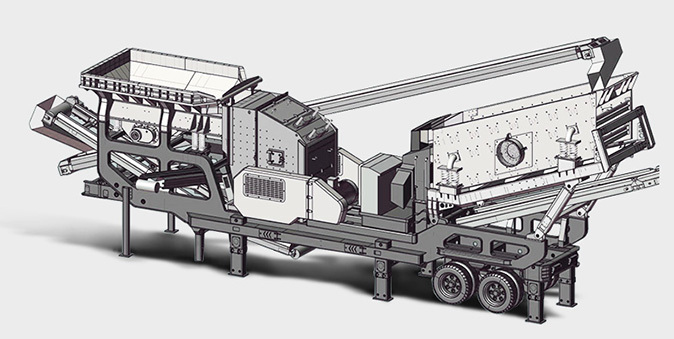 The K-series mobile crushers combine shining points of the flexibility of fully-mobile crushers and diversified-combination of semi-mobile crushers. 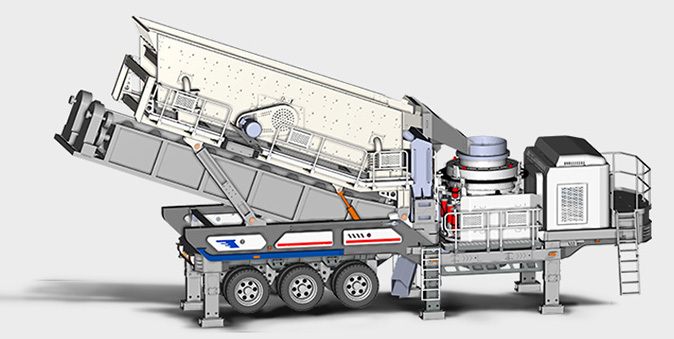 This series is user-friendly, especially when the customers want to change the working site and move the mobile crushers. 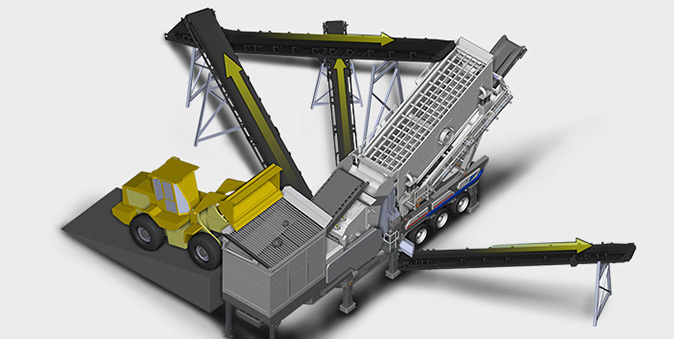 Customers can adjust screen angle from 18° to 25°, resulting in controlling the sieving capacity of the vibrating screen without changing the screen media. 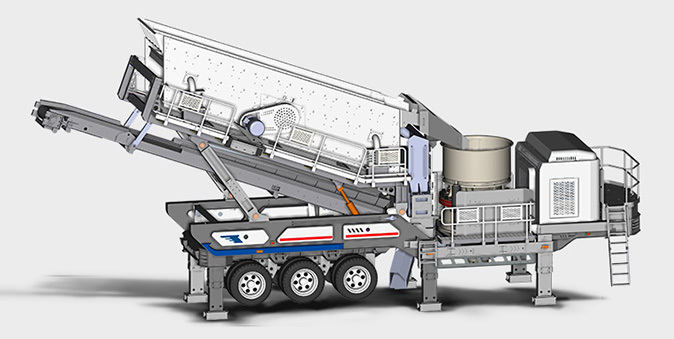 Compared with the fixed screen, under the same installed power, the screen mounted on K-series mobile crusher has more advantages in sieving and screening. Adoption of IP65 electrical apparatus element prevents efficiently equipment from dust and waterlogging. Be equipped with overload electronic control signal alarming system, blackout and halt in time under emergency to ensure safely operation. 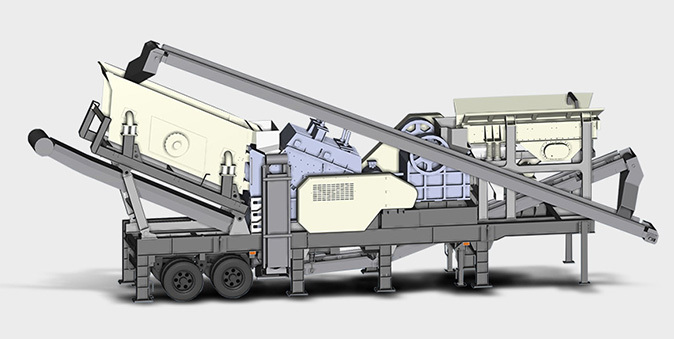 Specialized feeder with optimized grid width and pre-screening grid layer structure efficiently distributes fine material into main machine crushing cavity. 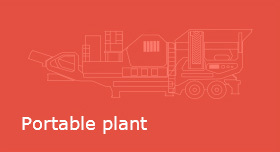 It will increase the productivity and thus improve the capacity of the main unit. We take the introduction of hydraulic control device into consideration and apply centralization lubrication system for the equipment. It is convenient for equipment maintenance and protection.